Now for something a little more niche. 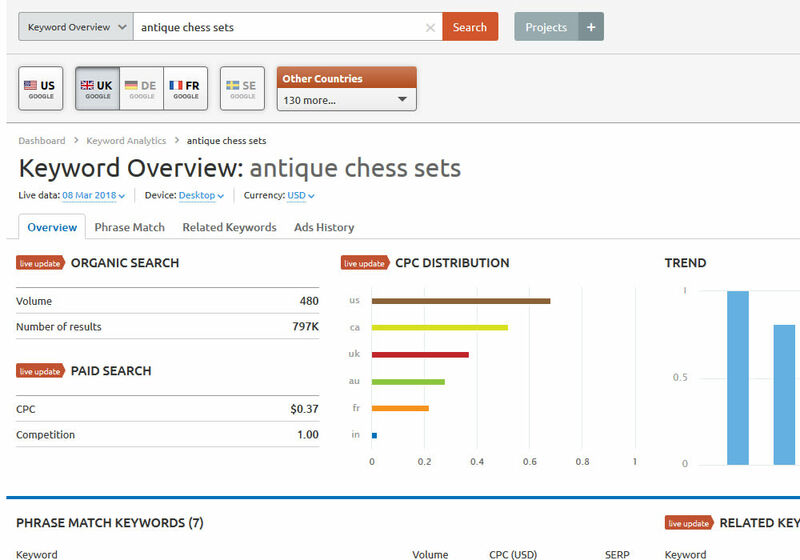 An SEO audit of a vintage antiques / collectibles chess set ecommerce website (chessantiques.com), to determine how they could improve their traffic through SEO. 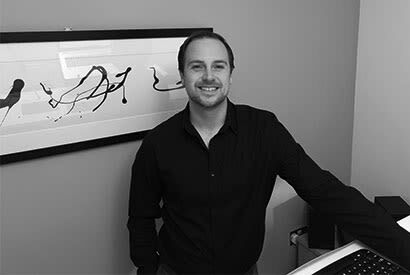 Remember if you’d like to purchase a custom SEO audit then see my page here. So my first thought when I (very randomly) decided to look into this was that there would be virtually no search traffic around it, because it’s so niche. However when doing some keywords research I found that actually there is some interest online for vintage chess sets (who knew!). So how would I do keyword research for this niche? Like any other of course, mine all the keywords you can and then group them by user intent. Anyway after that sidetrack let’s analyse the website for SEO damaging issues. 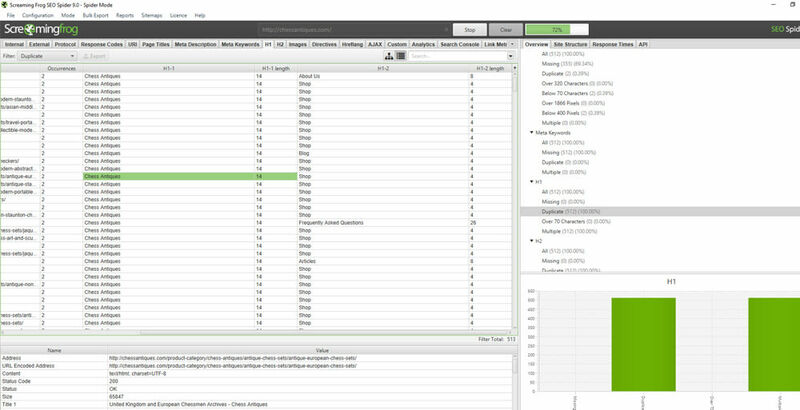 So the first step to any good ecommerce SEO audit is to run the website through Screaming Frog to analyse how Google would crawl the website and identify some key technical issues that may be present. Now the site is clearly built in Woocommerce, and unfortunately whatever template they’re using has provided them with some pretty terrible on-page optimisation. 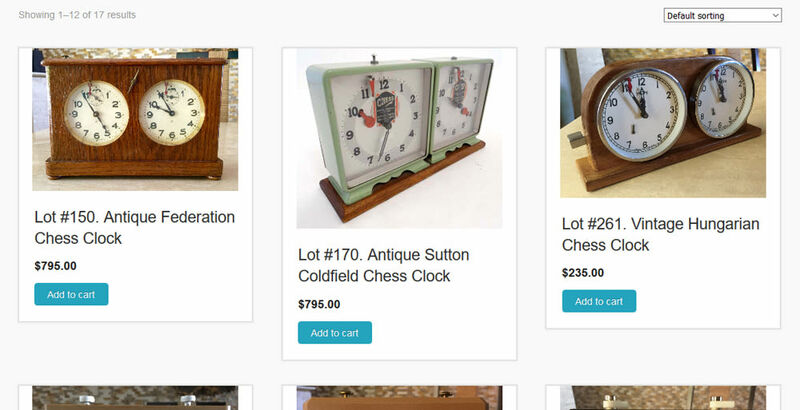 The website has the title “Chess Antiques” and “Shop” inserted as H1’s across the entire website, and coupled with the fact that there are no other H1’s on the category pages has mean that their category page traffic is non-existent. They should upgrade or replace the theme with a more SEO friendly version (or hard code it), to prevent these duplicate headers and to insert unique H1’s onto category pages based upon keyword research. Now we all know that Google Panda eats duplicate content for breakfast, and therefore we need a good amount of unique content on every page that’s indexed within Google to avoid it. However as you can see the category pages of this website simply contain a list of products, which offer no unique content or value to the users at all. 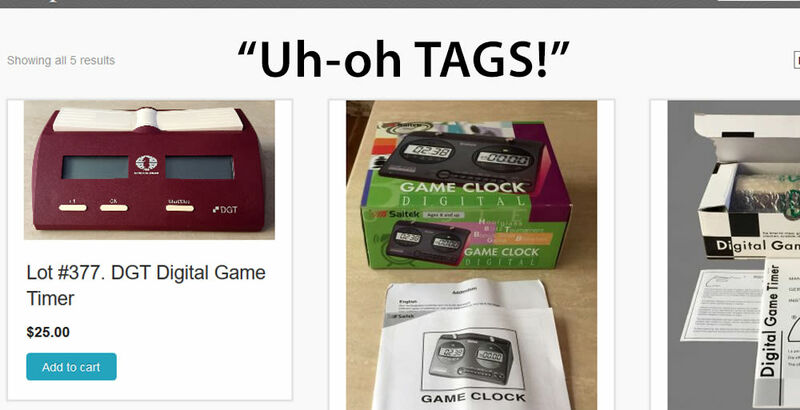 They should look to add a small amount of text above the product listings and then a lot more text with related links below the listing. For more information on how to structure a category page for SEO click here. Now I hate tags with a passion, they’re terrible for SEO and create a bloated site that’s a pain to structure. But they’re especially bad if they’re indexed in Google without proper management, because it creates masses of thin content pages that are often targeting similar or the same terms as the products / categories. This leads to keyword cannibalisation and issues with Google Panda. I would highly recommend this website installs the Yoast plugin and quickly sets the tags to noindex and removes them from the sitemap. They can then look at a better way of managing product variations if they must have a system like this. Now this has been a fairly simple audit, but even with these simple on-page changes I think that chessantiques.com could definitely hit the first page for some long tails. I mean it’s not exactly a competitive niche is it!? 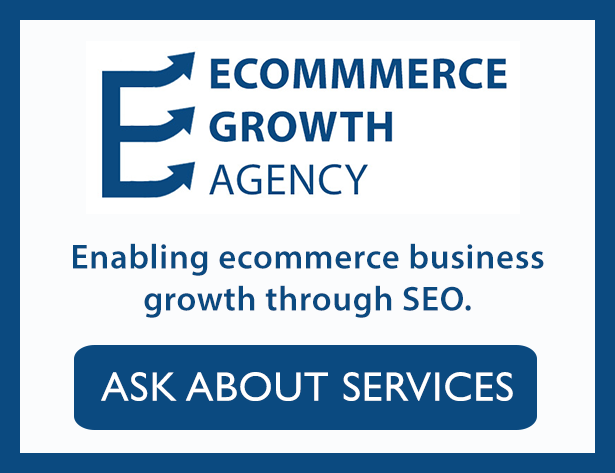 Anyway if you’d like an audit of your site then contact me, or consider some ecommerce SEO services here.